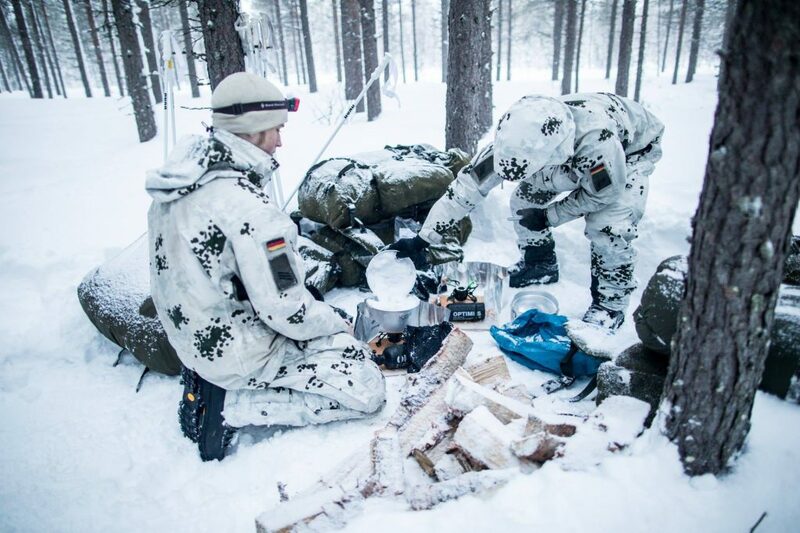 The German Army (“Budeswehr’) has a brand new set of threads for protecting soldiers against extreme cold weather conditions – the so-called “Arktiksatz” (Arctic Set). 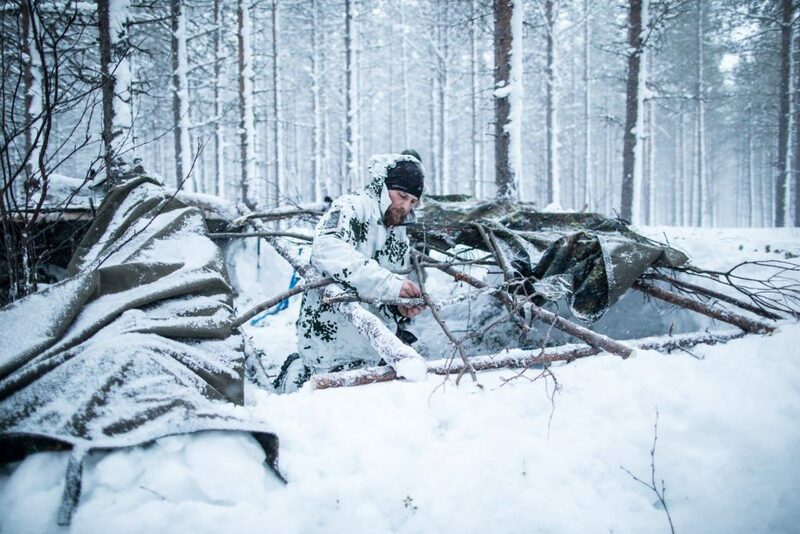 FIRST LAYER: Black fleece long underwear pants and pullover. 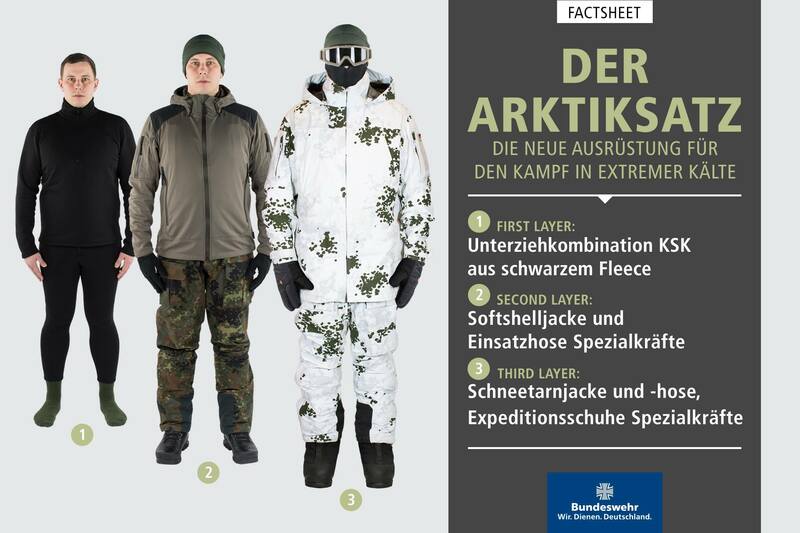 SECOND LAYER: Softshell jacket and KSK-type combat trousers. 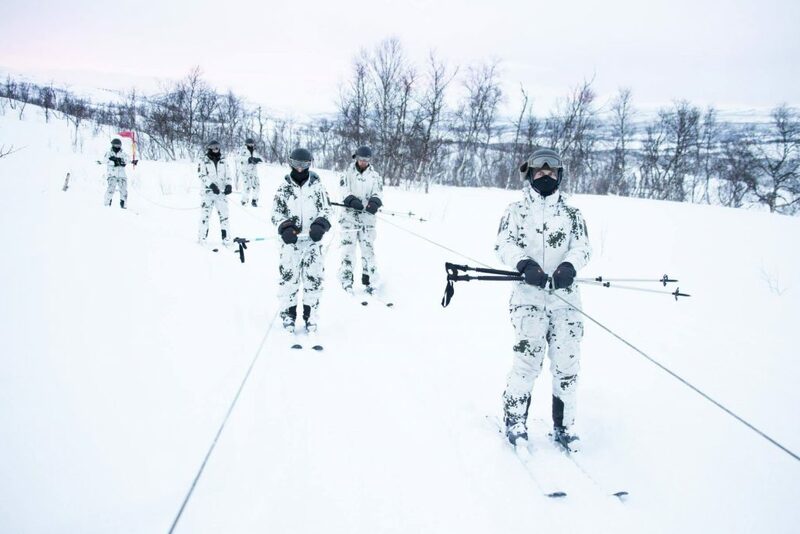 THIRD LAYER: Snow camo jacket and trousers, and mountain boots. 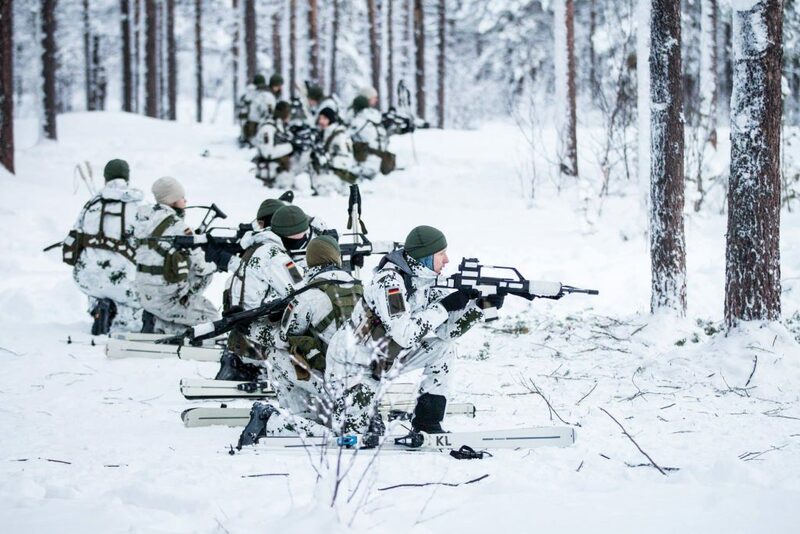 The new system was put to the test under simulated operational conditions recently by the members of Gebirgsjägerbrigade 23 (‘Mountain Brigade 23’) during exercise “Trident Juncture” in Norway. 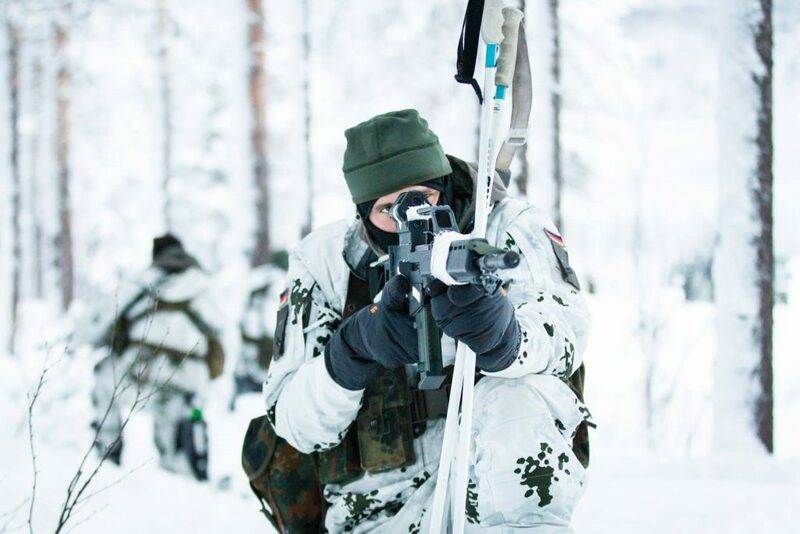 Having completed that initial user testing, the 5.000 soldiers of the mountain brigade are to be all equipped with the new gear by the end of 2019. 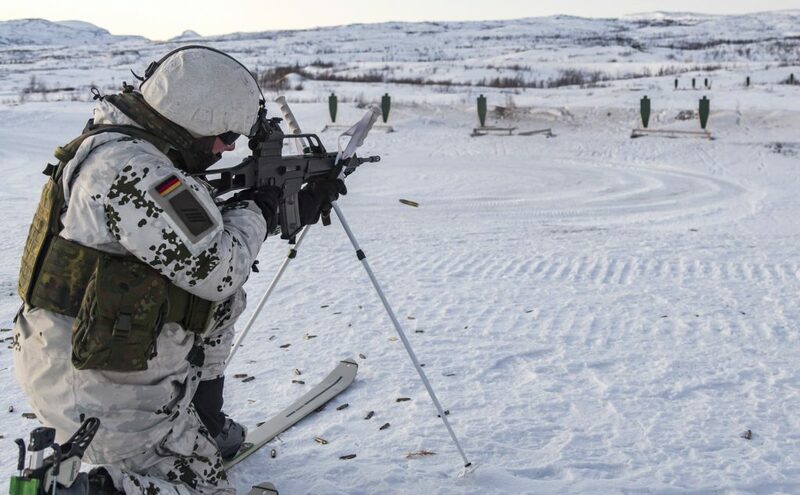 Below are a selection of photos of the troops from Gebirgsjägerbrigade 23 using the new gear during exercise “Trident Juncture”.